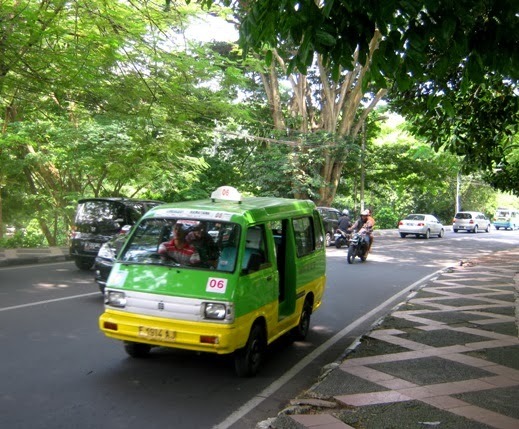 You can see lots of similar public vehicles in different routes here, in Bogor city (West Java, Indonesia). Each route is identified with different numbers and color combination on the vehicle. We call it ‘angkot’. Besides the rain city, Bogor also –sometimes- called the angkot city since there are too many angkot that often cause traffic jam here. we'd call that a minibus. Nice, looks like a fast transport!